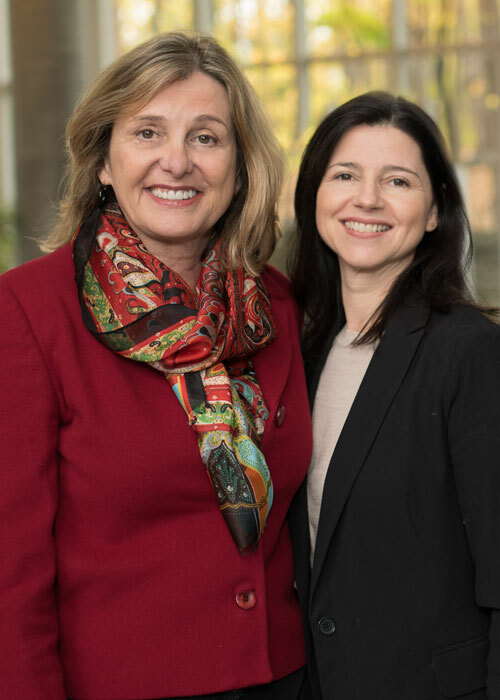 Professor Sylvie St-Onge and Lecturer Corinne Prost received the Teaching Innovation Award in HRM from the Association francophone de gestion des ressources humaines (AGRH) and the Référence RH network, at the AGRH conference in October, in Aix-en-Provence. The two researchers received the award as recognition for the teaching materials they designed, allowing the use of co-development techniques in the classroom. Co-development is a collaborative learning method that has been used in the private sector for many years. Sylvie St-Onge and Corinne Prost created a textbook and forms to teach it and, above all, to evaluate students involved in this learning method. Students first have to form teams, and then members examine an actual problem experienced by one of the group in his or her professional life. The teams follow the steps in a co-development approach: describing the situation, asking questions, listening, suggesting solutions, etc. “It’s a bit like a laboratory where students learn, share and work together to test the application of the material as they understand, analyze and solve a management problem they’ve really experienced,” summarizes Prost. Over the past three years, the two have fine-tuned and improved the material, a unique educational tool to simplify the application of classroom theory in practice. The approach has students apply key leadership skills like active listening, self-management, empathy, human relations management and time management. Professors St-Onge and Prost are taking steps to publish their material. Co-development, adapted in this way to teaching, could even apply to different many other fields of study besides management, such as engineering and health sciences.